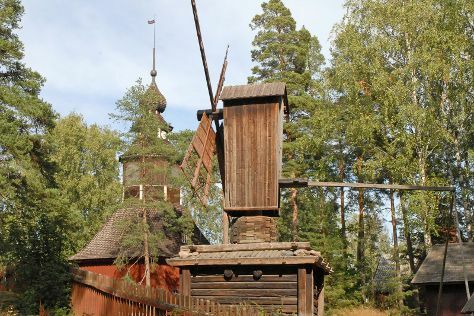 You'll explore and learn at Seurasaari Island and Open-Air Museum and Kansallisgalleria. Satisfy your inner culture vulture at Rock Church and Helsinki Cathedral. Get out of town with these interesting Helsinki side-trips: Porvoo (Porvoo Old Town & Cathedral of Porvoo). The adventure continues: learn about all things military at Sea Fortress Suomenlinna, get a new perspective on nature at Natural History Museum (Luonnontieteellinen Museo), take in the spiritual surroundings of Kamppi Chapel of Silence, and appreciate the extensive heritage of The Esplanadi Park. To see where to stay, reviews, and more tourist information, read Helsinki vacation app . Teresina, Brazil to Helsinki is an approximately 17-hour flight. You can also do a combination of flight and train; or do a combination of flight and ferry. You'll lose 5 hours traveling from Teresina to Helsinki due to the time zone difference. Traveling from Teresina in September, things will get colder in Helsinki: highs are around 19°C and lows about 8°C. Wrap up your sightseeing by early afternoon on the 16th (Mon) to allow time for travel back home.